Samsung’s newest addition to the Galaxy family arrived at our doorstep this morning, so what better way to introduce you than with an unboxing. 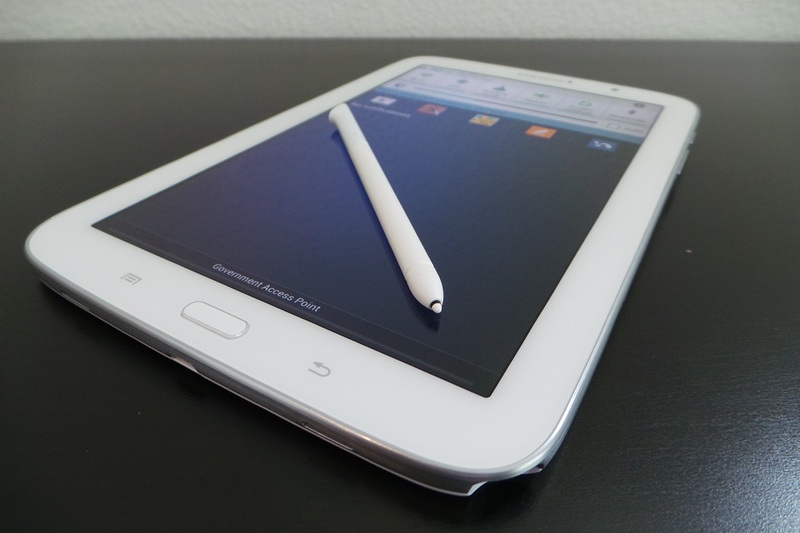 The Galaxy Note 8.0 features an 8″ WXGA 1280 x 800 LCD display, a quad-core processor clocked at 1.6GHz, 2GB of LPDDR2 RAM, a 5MP back-facing camera, and a 4,600 mAh battery. The deal breaker, at least in my eyes, is that the U.S. variant of this device does not come will cell radios inside. So no, this is not a massively over-sized phone. Maybe I am the only one who is disappointed by this. The device is already on sale here in America and can be picked up for $399. Catch the full hands-on unboxing below.